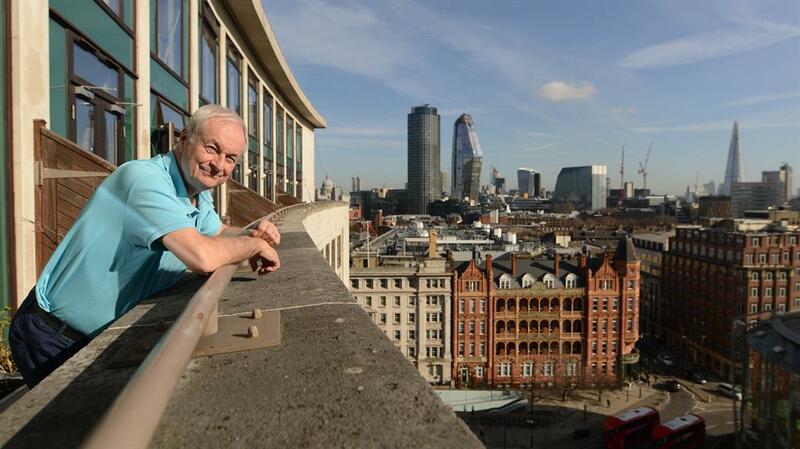 VETERAN broadcaster Paul Gambaccini, 69, found he was spending so much time in the theatres and cinemas of London’s South Bank that he decided to move there and eliminate the time travelling to and from his detached house in Islington. That was in 2000, when the redevelopment work which now engulfs the South Bank was just getting underway. Paul bought a two-bedroom penthouse flat in a converted office block — and it proved to be an unexpected bargain. 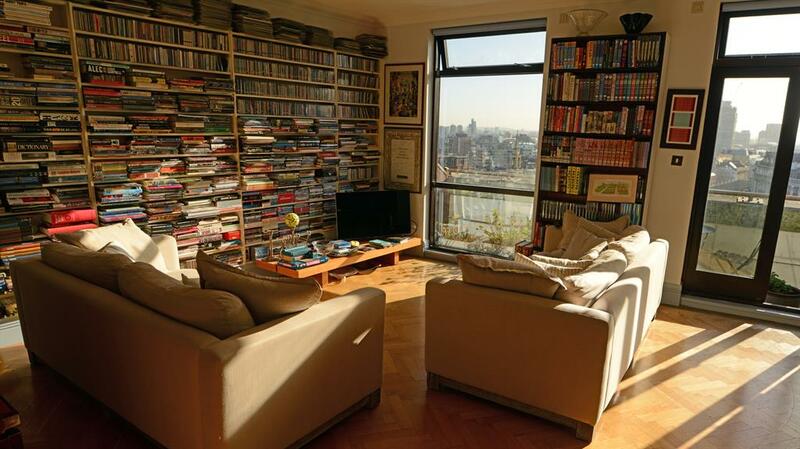 As the flat was newly built when Paul first bought it, he hasn’t made many alterations — but when he initially moved in he installed shelving around the living room for his thousands of CDS. 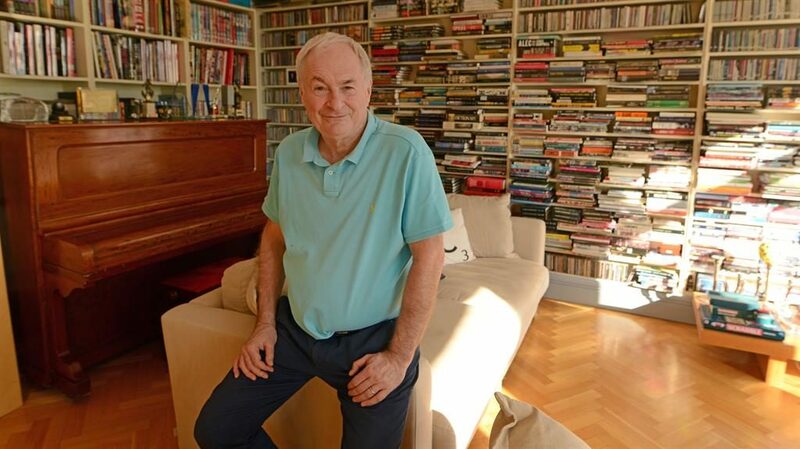 Since CDs have fallen out of favour the shelves, which were built to CD dimensions, host Paul’s large collection of books — including many volumes of vintage comic books. While Paul is best known for his music expertise and career as a radio DJ he is also a comic book enthusiast — reflected in his taste in artwork, which includes several lithographs by Disney artist Carl Barks. ‘He was in charge of Disney’s duck unit and worked on the duck comic books for 25 years,’ says Paul. ‘He created characters including Scrooge McDuck. My grandmother helped me learn how to read from the Carl Barks duck comics so they have sentimental value. I also like how much character is in them. Paul says he will never part with a smaller and simpler piece of art — a personal sketch done for him as a child by Superman artist Curt Swan. ‘Curt’s son was in my brother’s class at school which is how I came to have that. I’ll always keep it,’ he adds. 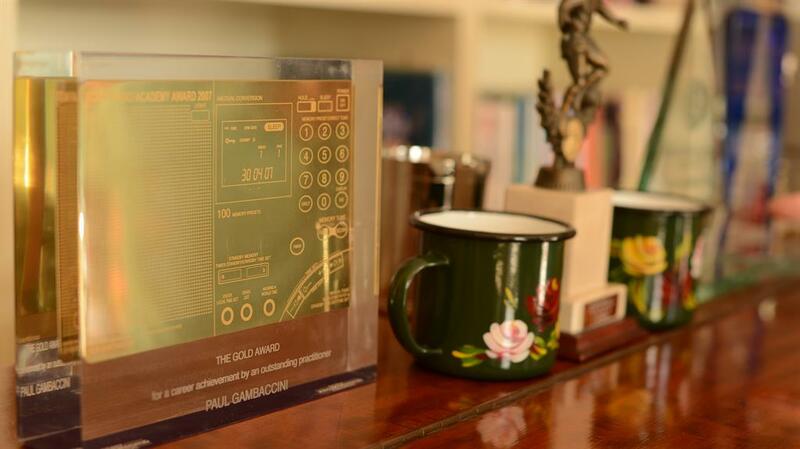 Paul’s collection of trophies, including a Sony Lifetime Achievement Award, sits on top. The living room is in the downstairs part of the flat — so the removal team had to take the piano down a tight stairway. 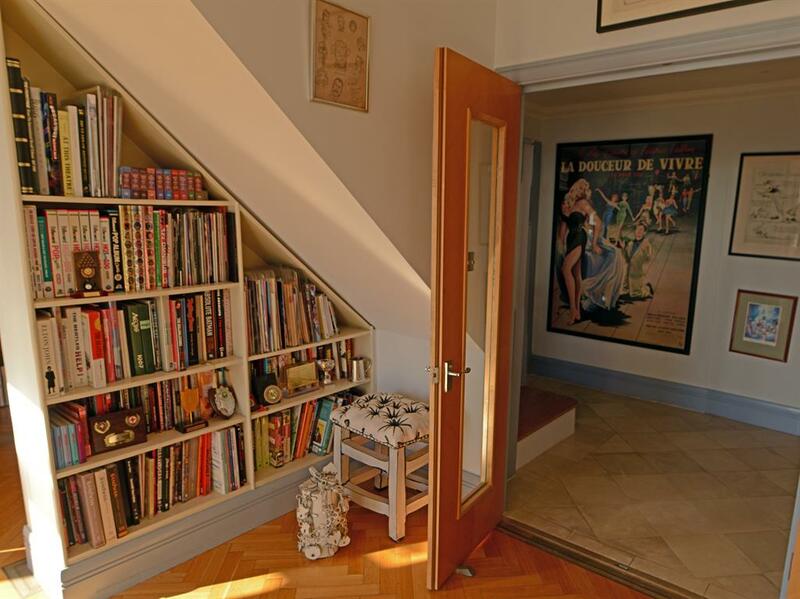 The flat’s entrance is on the upper floor along with both bedrooms and bathrooms. 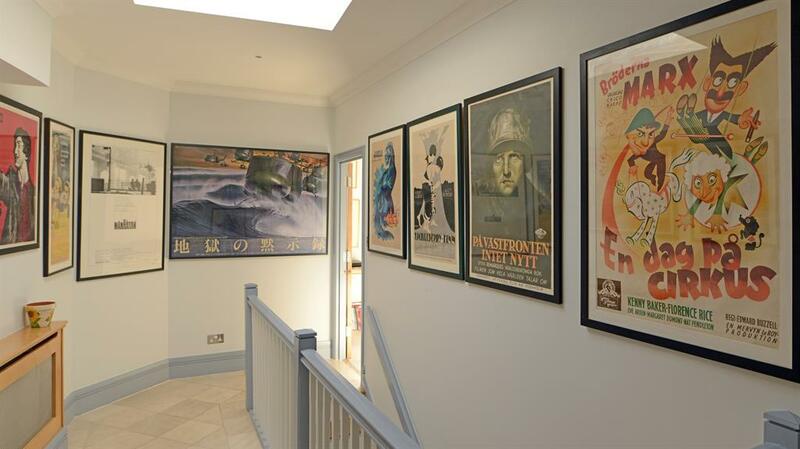 Another of Paul’s collections dominates the entrance hall and stairs — his assortment of movie posters. Nearly 20 years on and Paul is still happy he bought his flat. ‘I won’t need to move again because the neighbourhood is changing all the time. It feels like an entire new village has sprung up. Waterloo station is nearby so I can get in to the BBC to do my show very quickly.